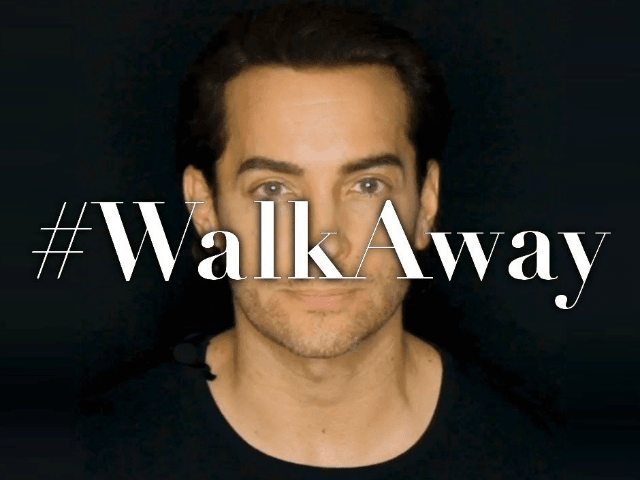 “Today, I’m kicking off the #WalkAway campaign by releasing my video about why I am walking away from liberalism and the Democratic Party,” Brandon Straka, founder of the movement, said in the video posted online in May. Some of the speakers scheduled to speak at Saturday’s rally include Straka, Dinesh D’Souza, Stacey Dash, and Wayne Dupree. Herman Cain, California congressional candidate Antonio Sabato Jr., Diamond and Silk, and Tomi Lahren will make video appearances. “Everything just kind of exploded. It was like a locomotive that just kept picking up steam,” Straka told House of what has unfolded since he posted the video five months ago. He said the leftist media at first ignored his growing movement or dismissed it as another Russian bot attack. Straka said his movement experienced a “second wave” following the violent protests that took place during the confirmation process to confirm Brett Kavanaugh as a justice to the U.S. Supreme Court, which he said was the “final straw” for a lot of Democrats. As for the midterms, Straka is feeling positive but warned against complacency. Straka praised President Donald Trump and his accomplishments, including a revitalized economy. “If you want to continue to see the country headed on that path, you must vote red on November 6,” Straka said. A gala at Trump International Hotel on Friday night and a brunch on Sunday are planned.